Fast-growing Reduxio redefines data storage, management and protection with breakthrough efficiency, recovery and performance. The company understands data’s role in business success, so it’s natural for Reduxio to seek the best possible resource for their marketing and sales teams. 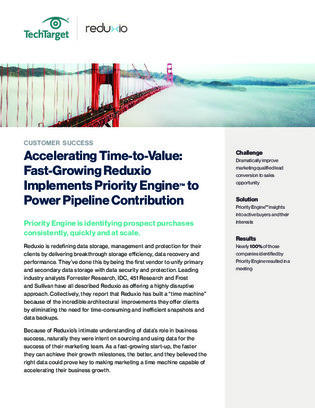 TechTarget’s Priority Engine provided the insights into real buyers Reduxio needed to deliver more opportunities.